Couples Retreat in Melbourne by The Three Seas. If you are married or in a relationship and you’re not happy and you want things to improve then going to The Three Seas ‘Mind, Heart, and Body’ Couples Retreat Program might be the right start for you and your partner to rebuild your relationship. Unlike other retreats that offer only pampering and ‘time out’, The Three Seas Couples Retreat program will bring the two of you closer together as well as give you time to relax on your own. Your will experience a deeper understanding of yourself and your partner. You will communicate and feel heard. You will feel closer and ready to reconnect. 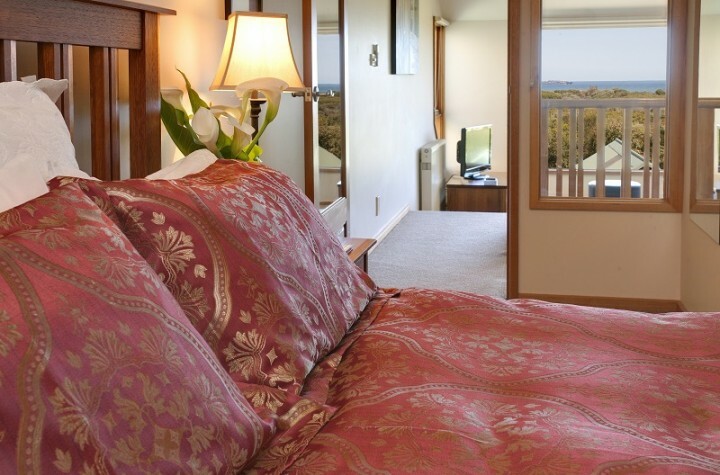 The Three Seas Couples Retreat is approximately 1.5 hours drive from Melbourne on the Bellarine Peninsula, VIC. The program includes one nights accommodation and all meals. You will have exclusive use of the retreat during your stay. The program is designed and facilitated by experts in the field of relationship counselling. If you’re like many couples, things in your relationship just don’t feel the same as they did when you first met. Maybe you’re struggling to pick up the pieces of a shattered relationship after the pain of infidelity. Or perhaps your issues are more mundane, and you’re bored, exhausted, or overwhelmed. Join us at gorgeous Point Lonsdale for a relaxing and enlightening couples retreat on the Bellarine Peninsula. We’ll help you chart a course from the relationship you have to the relationship you want. Have you ever wished you could escape the stress of everyday life so you could focus on your partner? Have you ever thought that, if only you didn’t have to worry about work, kids, and endless chores, your relationship would immediately improve? We offer you just that chance. Our retreat takes you away from the demands of everyday life and situates you in a beautiful waterfront setting, away from cell phones, family distractions, and endless busy-ness. This serene location is the perfect place to begin doing some work on your relationship. Full access to a private resort. A private consultation with a relationship expert who’s ready to listen and eager to help you sort out the unique challenges you face in your relationship. Workshops designed to help you learn more about yourself and your partner. Featured workshops include understanding your story of your relationships and yourself, evaluating your emotional profile, exploring your shared story, and uncovering a new vision for your relationship. We also offer a men-only and women-only workshop. We believe that much strife in a relationship occurs when you neglect your relationship. We’ll work to help you dust off your relationship, put back together its tattered pieces, and turn it back into the beautiful work of art it once was. In fact, we’re so convinced of the power of our workshop that we think your relationship may even end up stronger than it was before. Many couples are hesitant to attend a relationship workshop/retreat. Some believe their relationship is too damaged for a few hours to make a difference. Others think they don’t have enough problems to warrant such intensive focus on the relationship. But the truth is that it’s never too late or too early to work on your relationship. No matter where you are in your shared journey, we can help make the journey better. Our workshops aren’t just work, either; they’re fun, and by working together, you may uncover elements of yourself and your relationship you thought were long gone. Are overwhelmed by the stress of everyday life and who need a chance to reconnect. Have experienced a serious trauma, such as infidelity, a death in the family, or an unwanted move. Want more from one another and from their relationship but who are unsure of how to get it. Feel like they’ve lost the spark they originally shared, and who desperately want to get that magic back. Struggle to find time for one another. Are facing mental health issues. Feel like they’ve lost track of one another and need to reconnect. Want to know what truly, deeply connecting really looks and feels like. In short, this retreat can work for just about any couple. Whether you’re newlyweds just starting your journey, contemplating divorce, or been married for years and aren’t sure where you stand, we can help. We think you’ll be surprised to see just how much can be accomplished in a single retreat. How Can This Retreat Help My Relationship? Gain a deeper understanding of you and your partner’s emotional profiles, identify differences, and find ways to bridge gaps in your emotional styles. Deeply explore one another’s minds and hearts to gain deeper intimacy and a better understanding of what makes one another tick. Get a chance to talk about relationship challenges one-on-one with a trained relationship expert. Have a chance to talk to other couples about their relationships; often, couples find that just knowing they’re not alone makes a huge difference. Learn healthier ways to communicate your needs, find better ways to meet your partner’s needs, and gain a stronger understanding of how to mediate conflicts. Learn to embrace one another’s differences. Find better ways to show your appreciation and love for your partner, while simultaneously getting the appreciation and affection you crave. Don’t spend the rest of your relationship living together like roommates, but never really connecting. You both deserve someone about whom you feel passionately. Marriage and partnerships can be deep and rich, so if things have gotten stale, there really is hope. Let us help you explore your relationship’s challenges, then map the path to happiness. Your relationship is worth a day and a small fee, especially when that day may affect the rest of your lives together. If you want more information on The Three Seas Couples Retreat please call our friendly Client Connect Team on 03 98091000. Numbers are limited. Call today for more information.